produced by J.U.S.T Toys Production in association with Circle X Theatre Co.
Hollyhock House was commissioned by Aline Barnsdall and designed by the famous American architect Frank Lloyd Wright in 1919-1921. Originally intended to be part of an avant-garde theatre complex, the project halted after the completion of the house. Barnsdall gifted the house to the City of Los Angeles in 1927. 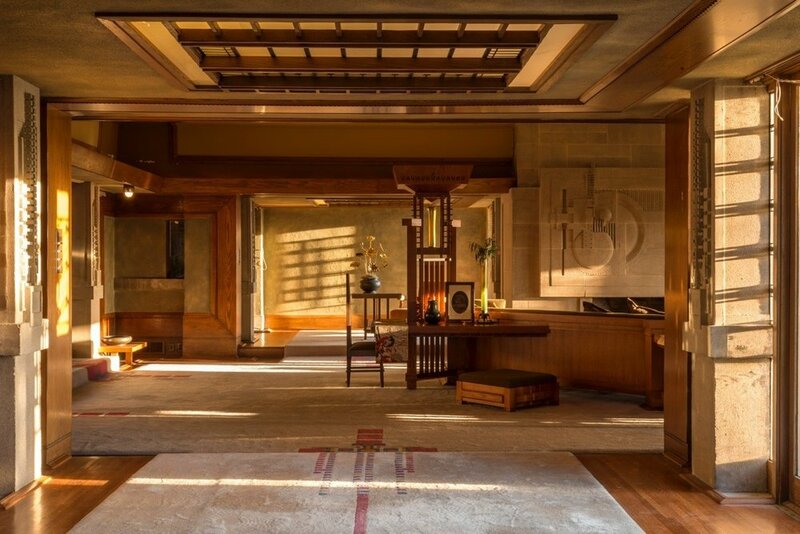 Hollyhock House underwent extensive renovations and the LA Department of Cultural Affairs re-opened it to the public in 2014. FEFU was the first-ever theatre performance at the house, finally making Aline Barnsdall’s vision a reality. In order to convey that pressures facing women occur across the world, we cast 5 international actresses: Tunde Skovran from Romania (Fefu), Julia Ubrankovics from Hungary (Julia), Claudia Zielke from Germany and Poland (Sue), Caro Zeller from Puerto Rico (Emma), Christine Uhebe from Brasil (Cecilia). I have been wanting to do a play by Fornes for years and was excited to finally get the opportunity. She was a pioneer of so many theatre movements in the US-- off-broadway, feminist theatre, Latino theatre--in addition to creating her own genre called Abstract Realism.